Order by: price, number of rooms, surface, city, normal. 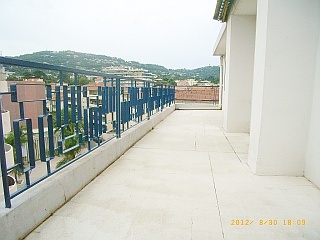 Centre of Cannes ( République) - 92,5 m² flat, 4 rooms (3 bedrooms) - 5th floor (top floor) - Very sunny, terrace of approx. 24 m² and balcony of approx. 9 m² - This flat has been fully refurbished and is in an excellent state - Near all facilities and schools from nursery to lycée - Community heating, car park, 2 cellars.